Sports football betting appKathleen McIntosh : Kathleen McIntosh plays Bach. Beautiful playing and superb recording team up to put the listener right on the bench beside the performer in this second recording from the Maricam Studio. McIntosh essays some less frequently played Bach works, emphasizing the lyrical and expressive, the wonder and the endless variety of Johann Sebastian Bach. "The playing is fresh and insightful, eager and probing; its artistic skies are sunny with discovery...The French Overture proceeds with perfect poise...while the Fantasy and Fugue in A minor is like listening to McIntosh build a palace of sound...Highly recommended." 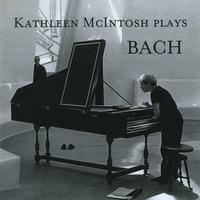 License Delicious harpsichord rarities by Kathleen McIntosh for your project. Play the music of Kathleen McIntosh in your restaurant or store.